Of all the concerns people have about their appearance, hair is one that takes a front row seat in terms of importance. One question everyone has been on a quest for at least once in their life is “hair growth tips”. It is the rarest of situations when someone says they “don’t care” about their hair. Being one of the first things that people notice when first meeting someone, hair often takes center stage in our overall appearance. It’s also something that highly boosts our own happiness and confidence. So it is understandable why hair fall or hair loss, also known as alopecia, is one of the biggest concerns for everyone today, all around the world. The growth of hair is understood to be a cycle, where ideally it sees equal periods of growth followed by shedding. The scientific names given to the three cycles of growth are Anagen, Catagen, and Telogen(1). Anagen is the phase of growth and spans for a few years ideally. The Catagen is the transition phase where hair follicles are known to shrink in size. This, however, is only supposed to be for a few weeks at a time. Following this, there is the Telogen phase where the hair rests and ends with shedding. One fact that many people are unaware of is that the strands of hair you see are actually strands of dead cells, namely dead keratin cells(2). Keratin is the protein found in hair produced by hair follicles, so when it produces new cells, the dead cells are pushed out of the follicles. Since the phases of hair growth cycle conclude with shedding, hair fall is termed to be a normal part of it and is natural. What is not so normal is the excessive hair fall experienced in one said period. And the type of hair loss makes a difference too. Hair loss can be either due to a decreased rate of growth or the breakage of hair shafts, as termed by dermatologists. And each has its own extensive causes. Genetic factors, as well as natural aging, are still the main causes of hair fall. Dermatologists often diagnose hair fall by doing a thorough analysis of your genetic history, from your own hair growth patterns to that of your parents and relatives. Furthermore, various deficiencies in our system are also known causes for hair loss, but this is discussed at a later point. Another fact of concern, especially for men, is that hair loss is more common and rampant in men than in women, mainly due to male pattern baldness. Yet another reason for hair fall is our hormones and hormonal changes. Much like how hormonal changes trigger excess sebum production in sebaceous glands, leading to acne and pimples, a similar effect can be seen with hair follicles. So anytime between childbirth or pregnancy or even menopause, hair fall can be excessive for women(3). Moreover, there are medical conditions which are the aggravated stages of hair loss, namely alopecia and ringworm infections (4). Sometimes just experiencing a physically stressful event has chances of messing up the hair growth cycle. Also, sometimes too much of a good thing can be bad, and nothing proves this more than the effect of over consuming vitamin A based products. Too much of vitamin A in the body causes hair fall(4). Which deficiency causes Hair fall? While over consumption has an adverse effect sometimes, often a deficiency of any nutrient might have far more disastrous results. Although iron deficiency or anemia is commonly associated with fatigue, it equally affects hair growth because it causes lesser oxygen to be carried to hair follicles. Without this, the hair growth cycle is disrupted, causing follicles to rest and restrict growth. Similarly, biotin (a form of vitamin B) deficiency, shows up in the form of brittle nails and hair fall(5). This is because biotin holds responsibility for the creation of amino acids in our system, which when activated help in the growth of both nails and hair. Additionally, copper and zinc deficiencies are what in turn lead to other forms of deficiency, partly because copper helps absorb nutrients like iron that leads to better health in general. It is a well-known fact that thyroid related issues are one of the foremost causes of hair fall. So it only makes sense that the deficiency of nutrients like selenium, which has antioxidant properties needed to take care of thyroid functions, can cause hair loss. Vitamins A, D, and E are generally needed in our system for healthy hair growth. They activate hair follicle stem cells (A) and are known for their antioxidant potency (E). On the same lines, fatty acids help in improving the overall condition of hair follicles and growth so their deficiency leaves hair open to potential damage(6). The main way all these deficiencies exhibit themselves is through telogen effluvium(TE) which is an imitation and excess action of the phase where the hair rests and fails to grow. Furthermore, they may also exhibit the signs of different autoimmune diseases. So a matter of hair loss can anytime deteriorate if not attended to by a professional. Will fallen hair grow back? When people ask this question, at this stage the distinction must be made between hair fall and hair loss. Although they both result in a reduced amount of hair, hair fall is the more natural form of the two. This means that while hair loss due to normal hair fall has chances of growing back, those which are lost to hair loss triggered by certain conditions have lesser chances. Conventional science states that regrowing lost hair is on the impossible side of things. However, day-by-day research institutions and independent researcher appear to be finding different alternatives that the state might work. One such example would be scalp hair growth stimulating smoothies, but these are not vouched for and should not be tried prior to consulting an expert(7). Originally, dermatologists and hair-fixing experts have surgical remedies for extreme cases of hair fall, which they won’t recommend for everyone complaining of hair loss. But one common thing they all agree on is that prevention, in this case, is far easier than the cure, so look to stopping and reducing hair fall rather than aiming to regrow it. What are some anti hair fall and hair growth tips? Whereas genetic conditions like balding cannot be prevented, normal hair loss can be controlled to an extent by changing the way we do certain things. Women, for example, tend to cherish under the compliments to their hair, especially for elaborate braids and hairstyles on many occasions. But you should know that this comes at a hefty price, of the very hair. So avoiding tight braids and ponytails can greatly help in saving your hair and its thickness. The way you treat your hair while handling it says a lot about its future. As you would handle brittle breakable objects, if you were to handle your hair accordingly with care, while brushing or washing, you can prevent a lot of hair fall. Although maintaining appearances means constant styling and setting of the hair, a fine line needs to be drawn when choosing between that and the well being of your hair. Such harsh treatment is only a fast track towards future hair fall. And while we protect our skin from the harmful and destructive effects of the skin, we haven’t reached the awareness that hair can also be harmed equally. So by trying to protect exposing your hair to sunlight as much as possible, you can ensure a decrease in damaged hair and hair fall. Lastly, we tend to ignore the effects that any medications prescribed to us may have on our hair. Be sure to check with your doctors before taking any medicine whether it has any side effects on hair growth. By checking, you can assure yourself a safer future for your hair growth in general. This is where dermatologists play a crucial role. Does Hair fall increase in winter or monsoon? One of the prevailing questions people always have regarding hair growth or hair fall is how weather influences it. It is common knowledge that dryness, humidity, and sweat have an impact on the scalp. And these happen to be the main traits of winter, monsoon, and summer respectively(8). During each of these seasons, if the hair is not protected against any of these three conditions, there is bound to be hair fall. Dryness of the scalp during winter may lead to itching and damage to the scalp. So oiling the hair and massaging the scalp is a sure way to reduce hair fall in winter. Similarly, in monsoon, the humidity inevitably leads to a near constant dampness of the scalp, possibly leading to dandruff. And this causes excessive hair loss. This can be fixed with either medication or constant cleaning and keeping scalp dry by avoiding hair products. As for summer, the ideal solution to avoid accumulation of sweat would be to consistently wash and dry your hair and follow a healthy diet. These hair growth tips apply in general for the well being of hair and by following these simple solutions, hair fall can be controlled to a great extent and you can enjoy a head full of hair. Hair fall causing too much stress? 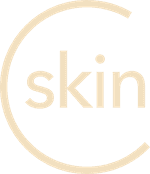 Get it treateDownload the CureSkin App now by clicking here to get the best treatment. It’s easy, fast and affordable!